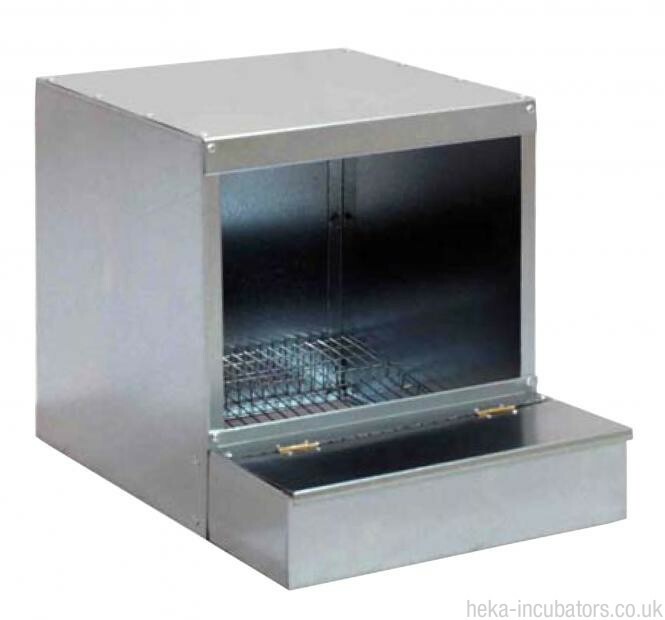 Good quality galvanised metal nesting box, hygienic and easy to clean. Suitable for small and large chickens. Eggs roll down into a covered tray that protects them from damage. There is a lid on the tray that opens for removal of the eggs.